Round sign for SpeedOleum Motor Oil. The sign is circular in shape and features a nice black and white design. 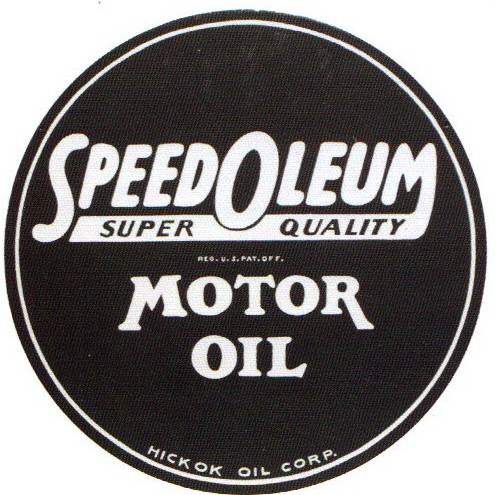 The “SpeedOLeum” is written in a script typeface while the “Motor Oil” is written in all caps.